Beaverton's Patricia Reser center is $6.5 million away from its target of $46 million; groundbreaking is projected by fall for 2021 completion date. 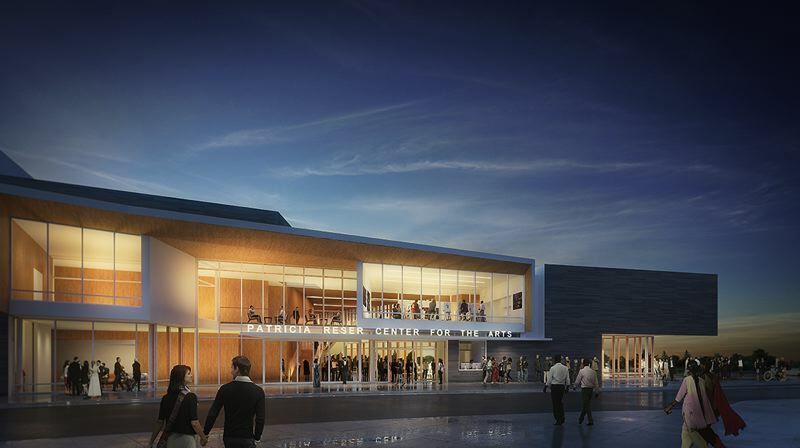 Fundraising for the proposed Patricia Reser Center for the Arts in Beaverton is $4.5 million closer to its ultimate goal of $46 million. Since Patricia Reser was announced July 17 as the major donor of $13 million, individuals, foundations and businesses have contributed $4.5 million of $11 million remaining to be raised. "We are anticipating bringing this project forward, actively engaging the public, beginning in the late spring and early fall," said Lani Faith, capital campaign manager for the center and executive director of the Beaverton Arts Foundation. Faith and others briefed the Beaverton City Council on Tuesday, Jan. 15, on the progress of the center. They added details to what Mayor Denny Doyle described in his state-of-the-city remarks on Jan. 10. Sponsors will seek planning commission approval in February and council approval in September prior to a projected groundbreaking this fall. Assuming that fundraising reaches its target, the center is scheduled for completion in spring 2021 north of The Round/City Hall. So far individual gifts have added up to about $2 million; foundations, $1.4 million, and businesses, $1.1 million. Among the gifts are $1 million from Gene and Lindi Biggi of Beaverton Foods; $750,000 from Cambia Health Solutions, $100,000 from the Maybelle Clark Macdonald Foundation, and $25,000 from the Zidell Family Foundation. Faith said donors have varying motivations for giving. "But the passion that brings this project and vision to life is the same," she said. In addition, the Oregon Community Foundation has put up a challenge grant of $250,000. Under its terms, the foundation will match up to $25,000 contributed by each of 10 Washington County individual donors, for a total of $500,000. "The center will not only provide a place to celebrate the arts, but a versatile place to meet for the vibrant Washington County community," said Kirby Dyess, foundation board chair. The donation in the name of Patricia Reser, board chairwoman of Reser's Fine Foods in Beaverton, came from the Reser Family Foundation. She also leads the Beaverton Arts Foundation board. The project also involves a $21.9 million public contribution, but most will come from a $15 million revenue bond repayable from city lodging taxes, not from the general fund. A separate 355-car parking garage is planned by the Beaverton Urban Redevelopment Agency, which will repay the estimated $6.8 million cost from parking fees and space rentals. "It is one of the most exciting things Beaverton has done in my time here," said Marc San Soucie, who is starting his 11th year as a city councilor. "Not many communities take on a challenge like this." Faith said some features were scaled back after preliminary estimates exceeded the $46 million target. The center will still have space for concessions, but not a full-service cafe. A five-story, 121-room Hyatt Hotel with restaurants is scheduled to break ground nearby in the spring. General Manager Chris Ayzoukian said the arts center will offer reduced rental rates for nonprofit groups and public agencies, volunteer opportunities and a mix of programs with "affordable" ticket prices. "It is important for programming for this center to be reflective of a culturally diverse population in Beaverton and foster an inclusive culture," he said.